We're Hiring a Community Assistant at TechHub London! Do you want to work at the centre of London’s tech startup community and support awesome individuals creating the next wave of successful and innovative tech products? Look no further - TechHub has a great opportunity for you! We're looking for a proactive, smart, energetic and friendly Community Assistant to join the London team. This is a great opportunity for someone with an interest in tech startups, who loves interacting with people, has an excellent eye for detail, and is keen to use those skills while working in a startup environment. TechHub was founded in London in 2010. Since then, we have grown into an epic international community of 2000+ tech product entrepreneurs. We work with over 750 companies around the world to help them scale. TechHub unites startups building their own tech products, enabling them to collaborate, work smarter, develop faster and increase their chances of startup success. 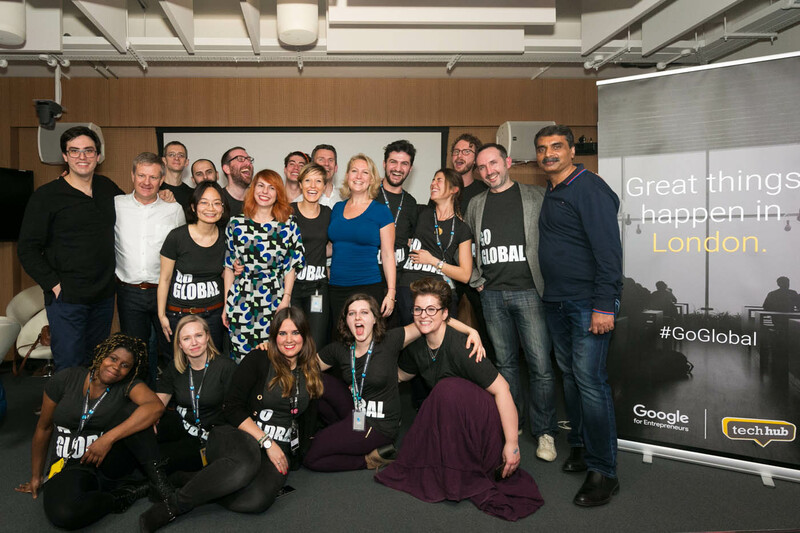 Our member startups have been acquired by the likes of Google and Twitter and we’ve launched TechHubs in the United Kingdom, Spain, Central Europe and India, with more international locations on the way! If you're looking for a job where you don’t need to use your brain and can just sit back and relax behind a computer - this position isn’t for you. If you’re looking to work in a fast-paced environment that is constantly changing and never boring; where you’ll support smart, creative and inspiring individuals that are developing the coolest tech products - you’re in the right place! You will work closely with the rest of the Community Team moving among our London offices. This junior role will be full time for 12 months. Greet and interact with members and guests - you're the first port of call for any member queries and external contact. Plenty of people go through our doors every day - from aspiring entrepreneurs to famous investors and politicians. Communicate community messages, internal events and opportunities to members - making sure they’re informed and using their membership to their full potential. Manage internal membership processes for TechHub members - working closely with your local colleagues and the finance team to ensure smooth communication and timely responses within the team and with members. Assist with facilities and maintenance - ensuring TechHub is clean, safe, functional and operational; proactively flagging and resolving any issues and keeping members updated. Know everything that's going on in the space at all times - everyone that walks through the door is your responsibility, unless they're passed to someone else. A little extra - we encourage our Community Assistants to explore their areas of interest and develop new skills by taking up responsibilities that are relevant to the business. Alongside their everyday duties, our Community Assistants have worked with social media, done coding projects, helped run events and got involved in other activities that helped them progress in the company. You’ll be an essential member of the team and we will rely on you to be a friendly, knowledgeable and professional face of TechHub. We're looking for someone who wants to join the team who is interested in full-time 12 months contract (not suitable as an internship or a part-time job). Punctual, organised, and completely reliable – you will be trusted with a variety of responsibilities so being reliable and on time is very important for this role. You should be great at managing your time and workload to ensure everything gets done and that communication / collaboration with your colleagues is smooth. Creative, process-driven, proactive - while you're great at jumping in and doing things last-minute when necessary, you have strong skills in creating processes to ensure that nothing is forgotten and your work flows smoothly. If you think something could be improved, we want to hear your thoughts – we’d love you to discuss solutions rather than problems, anticipate issues before they arise, and take action where it’s needed. Passionate about technology and entrepreneurship - do you know what the best techie Meetups are? Who the most successful investors are? What “lean” or “agile” means? If not, you’d better get up to speed! You’ll be surrounded by tech entrepreneurs and will need to speak their language - this role will give you a great insight into what it’s like to run a tech company. Excellent English language skills - top notch communication ability is a must including correct spelling. The kind of person who goes the extra mile -you’re genuinely helpful and committed; and these qualities won’t go unnoticed with us - we believe in giving credit where credit’s due. Include a covering email telling us why you're interested in the role and why we should hire you - we want to know why you're excited by this particular opportunity. We will not consider applications without a covering letter! Detail relevant experience and skills in the covering letter - tell us what you consider most relevant and useful to this position, as outlined in the job description.